With its much-awaited IPO on the New York Stock Exchange, this is Snap’s biggest week in its short company history. For the longest time, Facebook, Snap’s most obvious competitor has been using every tool in its arsenal to undermine Snapchat’s success by offering the same features to Facebook users. Last week, Facebook aimed its most powerful weapon at Snap by integrating a clone of Snapchat’s most monetizable feature into Whatsapp by allowing users to post “status” updates that expire after 24 hours. Companies use their IPO’s on public markets to not only get a massive infusion of new capital, but also to grow their user and customer base with the tremendous amount of media coverage that’s directed at them during this time. For Snap their IPO is also an opportunity to reframe how people think of their product. They would prefer to be known as an app with high user engagement with a rich potential for advertisers rather than a 1:1 messaging app for millennials. With Whatsapp’s launch of a similar feature to Snapchat’s stories just days before the IPO, Snap’s communication about their key revenue driving features potentially got a little bit harder to share. While Facebook as a company is Snap’s largest competitor, Facebook’s Whatsapp is the specific domestic app (WeChat in China is larger) with the most users at 1.2 billion and the greatest potential to stall Snap’s growth. 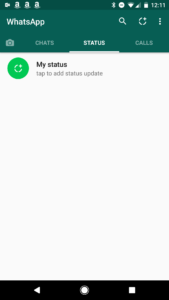 Now that new Whatsapp status has been out for a week, I decided to see how well it has been received. 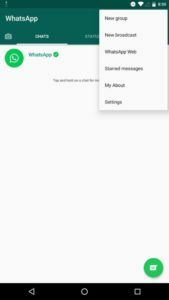 On Saturday evening, which was the first time I saw the status feature on my Whatsapp app, I saw 5 status updates from my 250+ Whatsapp contacts. Now 4 days later, I do not see any at all. It will certainly take time and a lot of effort until this feature from Whatsapp gains popularity, if it ever does become popular, but in the meantime, it has not had the runaway success that might have impacted Snap’s IPO. Analysts might be quite bearish on the long term prospects for Snap, but nonetheless Snap had a great first day with an opening price of 40% higher than its offering price. As Snap’s IPO buzz fades, we can certainly expect that Facebook will continue to iterate on their products in ways that undermine Snapchat’s appeal. 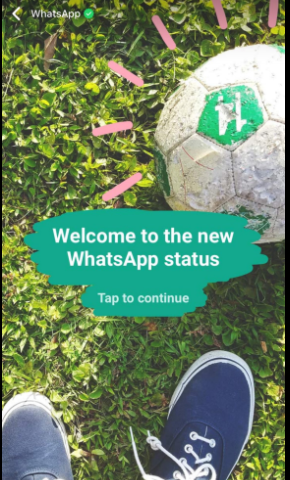 We may even one day see sponsored stories a.k.a status updates on Whatsapp, but first Facebook is going to need to get brands on to the Whatsapp platform like Wechat did in China.